Flowers need to be pollinated to maximize fruit quality and yield. Most tomato crops, indoor strawberries and soft fruit crops are pollinated using bumblebees because of the significant impact on yield eand fruit set. Bumblebees require sugar for flight energy and feeding their colony. They require pollen as a protein source for reproduction. Since tomato flowers have little nectar, a supplement is required in the hive to maintain colony growth. The efficiency of a hive in a greenhouse depends on the successful growth of the bee colony. The ability of the bumblebee to collect and transfer pollen, and the pollen content of flowers, are affected by cultivation techniques. The amount of water given to the plants can affect the quality of the pollen and hence the development of the hive itself. Water stress and high temperatures cause bad pollen. If the plants are watered at the wrong time and temperature is increased, the flowers may become wet with dew and the pollen becomes “sticky”. Bumblebees will lose interest in sticky pollen. Adding new hives will not improve pollination. When an extra stem is allowed to develop, there will be a short period with a lot of flowers. If bumblebees can’t keep up with the extra flowers, it is advisable to put in some extra hives. Flowers pointing to the sky, flowers with a faded yellow colour or if the pistel is outside the flower are not attractive to bumblebees. They will tend to visit optimal flowers to improve their own foraging efficiency. P2251H-01 Beeline TSH : 1 queen, ±60 worker bees, no males, no young queens, standard tomato hive. 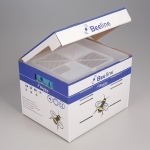 P2251H-02 Beeline Soft Fruit: 1 queen, ±100 worker bees, no males, no young queens, can be used in crops such as strawberries and fruits trees. Other types of hives e.g. Triple Hivea etc are available upon request.